Dogs with only a mild reaction to the storm may be distracted with an indoor game of fetch-the-ball or simple obedience exercises. Others may feel more comfortable with the routine of going to their kennel or bed. 1. Thundershirts. For many of our clients, the gentle pressure of Thundershirts can calm and give relief in stressful situations. 2. Desensitization. Playing recordings of thunderstorms quietly for your dog can help desensitize her. Every few days, play the recording a little louder. Reassure your dog with a routine that might comfort, like going to his kennel or bed. 3. Short term medicines. When you know a storm is predicted or brewing, a short-acting sedative can bring your pet quick relief. 4. Longer term anti-anxiety medicines. If it’s the season for storms, you may want to consider anti-anxiety meds for a month or so rather than administering sedatives every day or two. With this sort of medicine, you won’t worry about not being home when a storm hits. 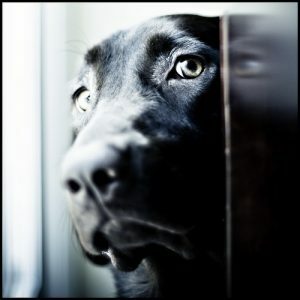 If you recognize signs of distress in your dog when the thunder rolls, give us a call and let’s set up a time to meet. 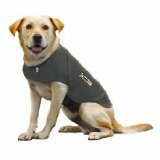 Let’s help your dog ride out the next storm without disappearing. If your dog could sing, would he sing K.C. and the Sunshine Band’s “Please Don’t Go” every time you walk out the door? 1. Poop happens. A dog that’s been housetrained a long time can suddenly show her distaste for your departure by defecating or urinating in your house. 2. Let’s get personal. Your pet may destroy something that you like, for instance your child’s toy or your designer bag. 3. Who let the dogs out? Cats or dogs may use their time alone to make their escape, or in their frantic efforts, they may destroy something near windows and doors. 4. Do you hear what I hear? Howling, crying and whining are all ways your pet can let everyone within ear shot know he’s not happy about being alone. 5. Playing hunger games. Some pets won’t eat or may eat very little when you leave. Extended times like when you go on vacation and leave your pet with someone else can be especially troublesome. 1. Trial runs. Get ready to go when you’re not going anywhere. Grab your brief case and car keys and walk out the door. Come back and put everything back. By going through this routine a few times over several days, you’ll help desensitize your pet to your leaving. 2. Good things happen. When you leave, make sure something good happens that your pet can look forward to. It could be as simple as leaving a treat when you leave. Or another idea might be a food puzzle…. 3. Ready, set, play. Distracting with a food puzzle often keeps your pet busy and happy for quite some time. 4. Mama knows best. AdaptilTM collars, sprays and diffusers mimic the same pheromones that a lactating mother dog emits to reassure her young. Many puppies and adult dogs are soothed with AdaptilTM products. 5. Anti-anxiety medicines. When behavioral intervention alone doesn’t solve the problem, talk to your vet about medication possibilities. Many patients have had success with these medications. 6. Doggie daycare. Town N Country offers active doggie daycare. Perhaps your pooch would respond well to spending one or two days a week with us. Drop by and visit anytime. One in six dogs experiences some level of separation anxiety; however, the right strategy can alleviate your pet’s anxious behavior. 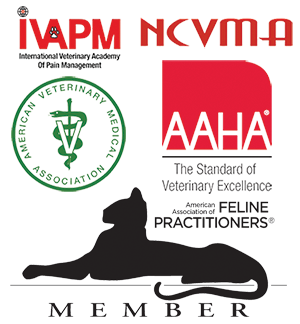 Give us a call, and let’s set up an appointment for your pet. We would love to help you reach a solution and soothe your pet. PS For the month of June, 2013, get $5 off any AdaptilTM or Feliway product when you purchase it at Town N Country! When you look closely at nature, you’ll find a universal truth: every mama knows how to comfort her baby. This is why AdaptilTM works so well to calm and soothe a puppy or adult dog. AdaptilTM is a synthetic copy of the naturally occurring pheromone released by a mother dog to reassure her pups. It’s odorless, non-sedative and designed especially for dogs. AdaptilTM, available in a collar, diffuser or spray, has been recommended and used by veterinarians and pet behaviorists for the past ten years. Puppies that are fitted with an AdaptilTM collar from 6 to 16 weeks are more likely to make a smooth transition to a new home. AdaptilTM aids socialization skills and helps these puppies grow up to be confident and well behaved. 8. Breaking routine, as in a major holiday that brings company or other changes. If you think your dog might benefit from AdaptilTM, talk to us at Town N Country. We’d love to help your dog feel less anxious. How Sick is that Doggie in the Window? Dry heaving and actually vomiting may be obvious, but many dogs don’t exhibit these behaviors when they feel woozy. For some, a car ride may be a reminder of a bad experience, and any car ride afterwards feels stressful. Your dog’s motion sickness can be attributed to the ears’ vestibular system that controls balance and helps the dog process motion. Sometimes puppies are affected with motion sickness, but later outgrow the tendency. 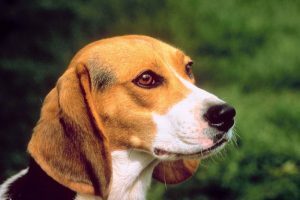 Other dogs are simply more prone to it for their entire lives. Abigail, a three-year-old Rat Terrier, happens to be one of those dogs that would routinely experience motion sickness. Now she’s been prescribed Cerenia, a medication to alleviate symptoms of travel sickness. With the new medicine, she can happily accompany her family on all their camping trips. If your dog exhibits one or more of these behaviors, talk to us about Cerenia. Many patients, like Abigail, have great success with Cerenia, and a few can’t travel without it. Give us a call, and let’s talk about improving your pet’s travel attitude.